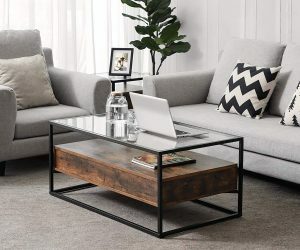 Small Modern-Style Square Coffee Table: Simplicity speaks volumes when it comes to your coffee table. Stand this lacquered, iron-legged version on your living room rug to ensure you match the decor. 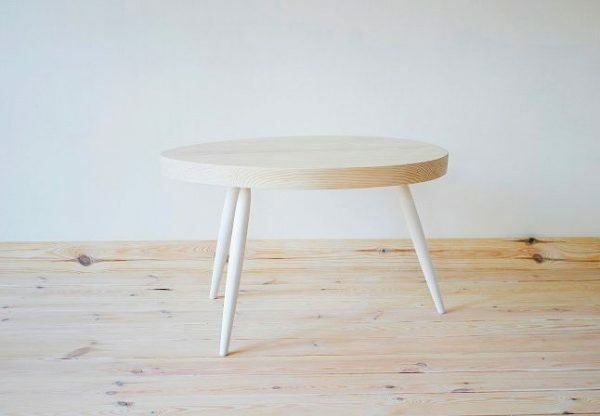 Small Scandinavian Wooden Coffee Table With White Legs: Need something a wee bit smaller? This round wooden beauty can match your floor. Scandinavian-Style Coffee Table: Scandinavia is renowned for blending wood and white in seemingly-effortless pieces. This coffee table is no exception, with its low-lying surface and inbuilt compartments. 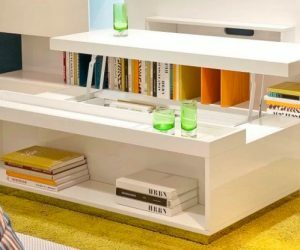 Modern Rectangular Coffee Table With Shelving: Tired of bits and pieces cluttering your lounge? 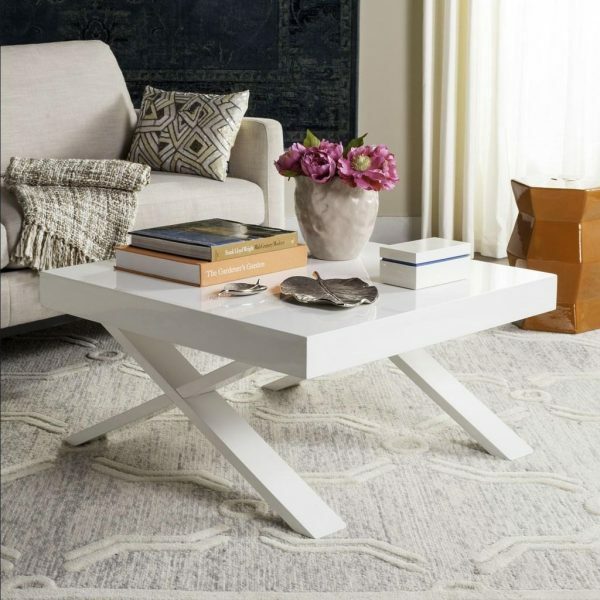 This white finish coffee table offers inlets for ornaments and a tempered glass top. 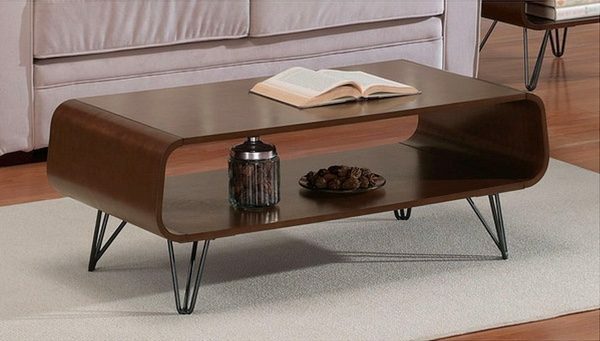 Modern-Style Coffee Table With Wheels: Want to put a pot plant inside your coffee table? This contraption surrounds it with dark wooden panelling, accessory inlets and ever-so-handy wheels underneath. 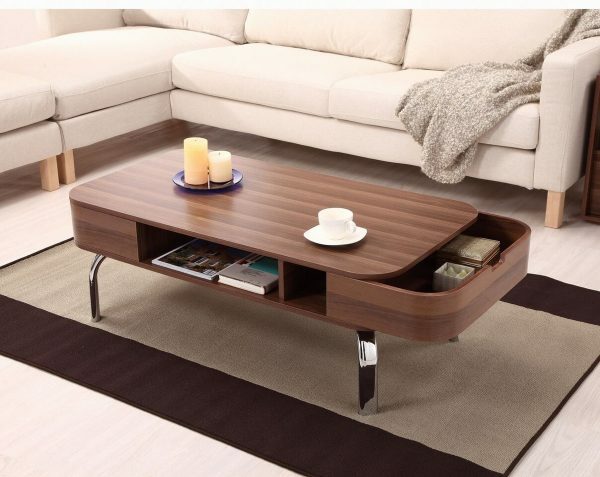 Coffee Table With Display Top: Cleaning your coffee table just got easier. This display top table lets you wipe the dust off, while keeping your ornaments safe in their cubbies. Modern Oval White Swivel Coffee Table: Reminiscent of the 60’s, this plywood table splays out to show its levels off. 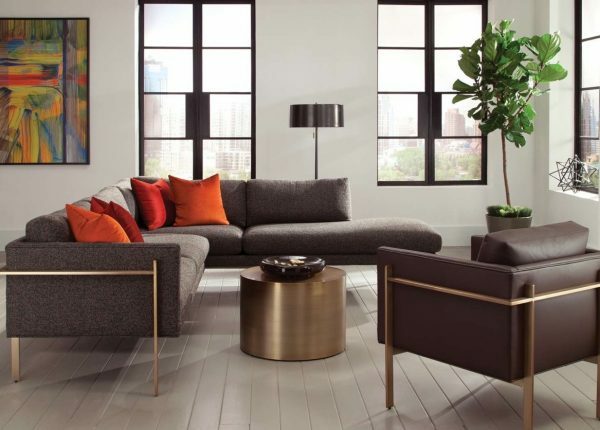 Create up to three separate coffee table spaces on its hi-gloss surface. 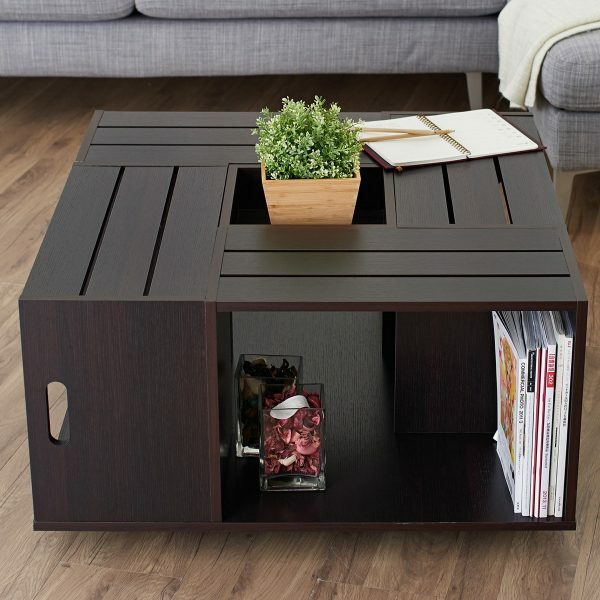 Modern Minimalist Rectangular Swivel Coffee Table With Storage: Need a swivel function and storage? This sassy coffee table lets you turn its three levels and keep your wares inside. 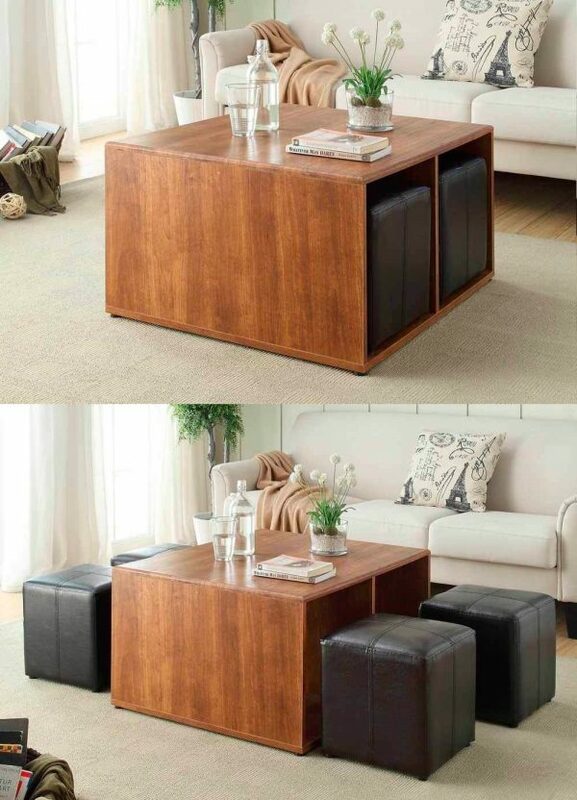 Rectangular Dual-Tone Expandable Coffee Table: Let it rest as a cube, or open out to a storage unit. This innovative white and dark wooden piece lets you mix up table ornaments on a daily basis. 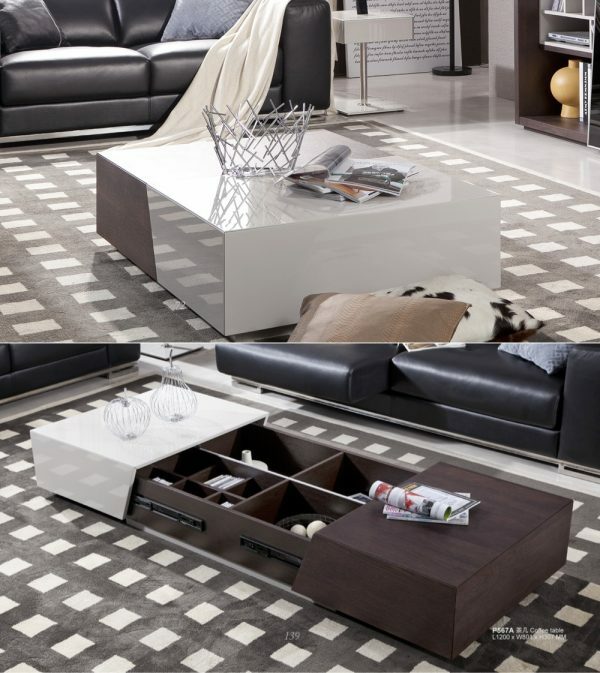 Modern Rounded Corner Coffee Table With Drawers: Chrome-plated legs hold up this smooth coffee table. Featuring rounded edges and a low-lying style, its sides open out to drawers holding your trinkets. 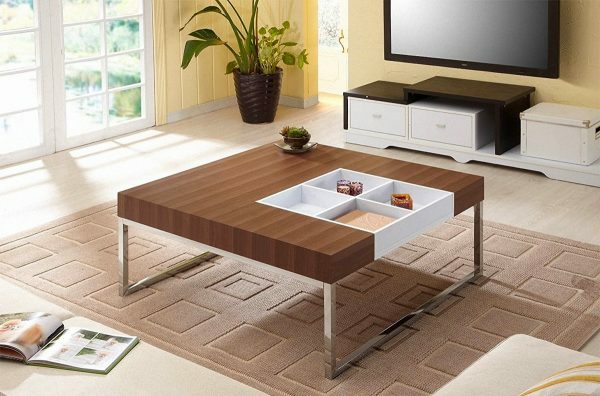 Modern Narrow Lift Top Coffee Table: Want a TV tray table, but not the tacky look? Watch this walnut find extend its lid to hold your coffee, laptop or ready-made dinner. 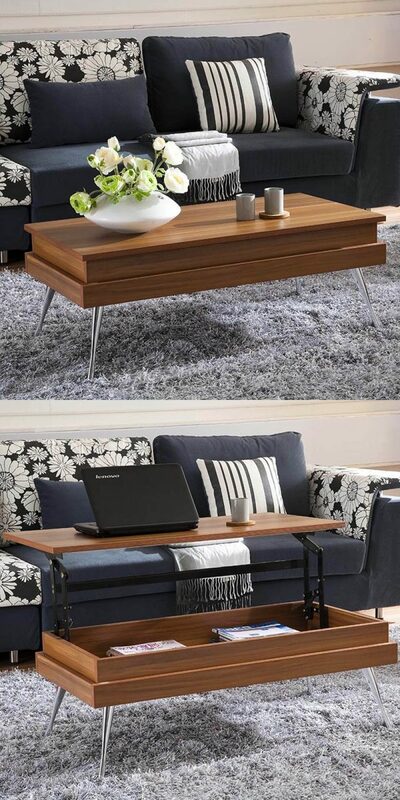 Adjustable Height Coffee Table: Don’t have space for both a coffee and dining table? Get them in one, with this expanding-leg walnut solution. Expandable Transformer Coffee Table: Have a bit more budget to spare? Let your coffee table seat up to six, with this extended version folding out or in. 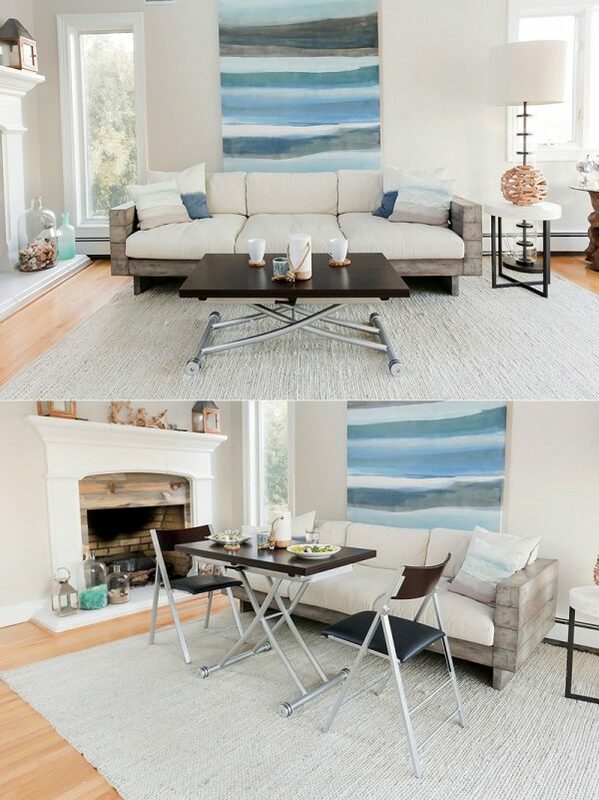 Coffee Table With Stools Underneath: Want to keep your white sofa pristine? Sit your guests on mock-leather ottomans under this wooden coffee table instead. 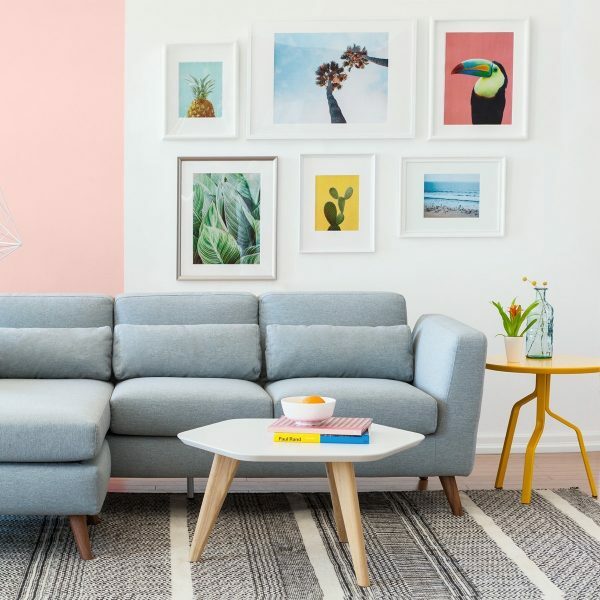 Modern Wooden Coffee Table: Have a few magazines you’d like to store? 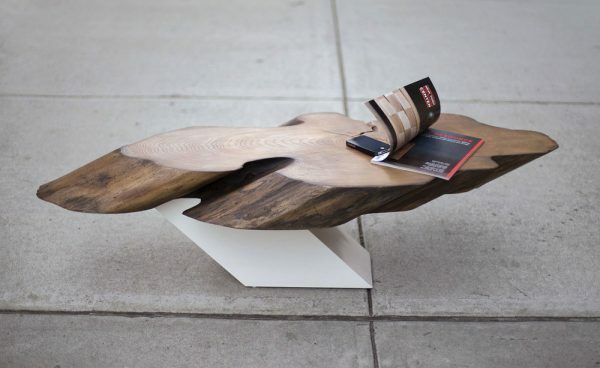 This walnut table builds waves for their spines. 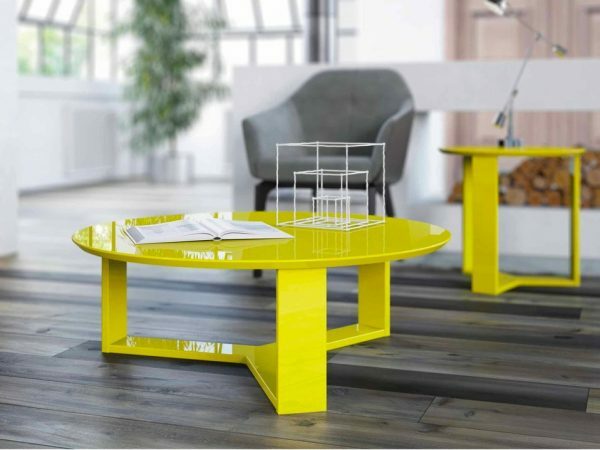 Sleek Yellow Accent Coffee Table: Add a splash of sunshine yellow to your lounge. This low-lying coffee table is part breakfast holder, part art piece. Small Hexagonal Modern Coffee Table: Create shapes with your coffee table. 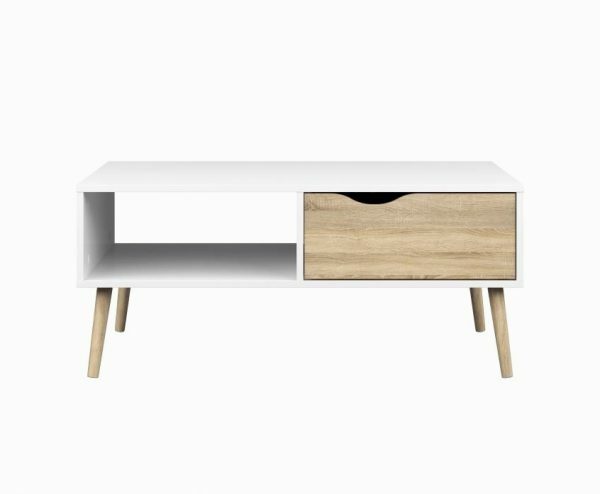 With a white surface and wooden legs, this muted-colour piece makes a subtle stand in your interior. 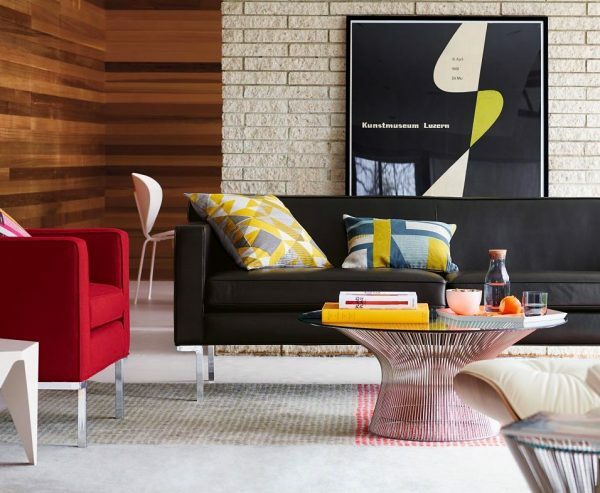 Mid-Century Modern-Style Coffee Table: Go back to the Mad Men days, with this rounded coffee table. Its walnut exterior will have you yearning for films in black and white. 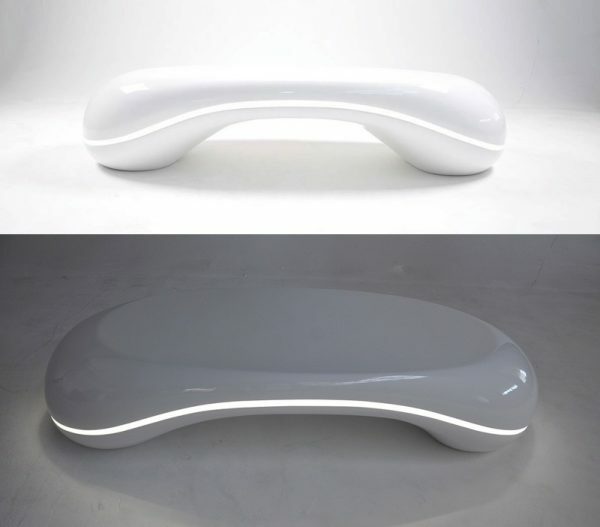 Curvy Modern Coffee Table With LED: Eat a midnight snack in the lounge. This phone-shaped coffee table sheds necessary light from its middle. Futuristic Coffee Table With LED: Make your lounge look like the Jetson’s. Fitted with purple-hued LEDs, this fibreglass creation can act as a nifty table or seat. 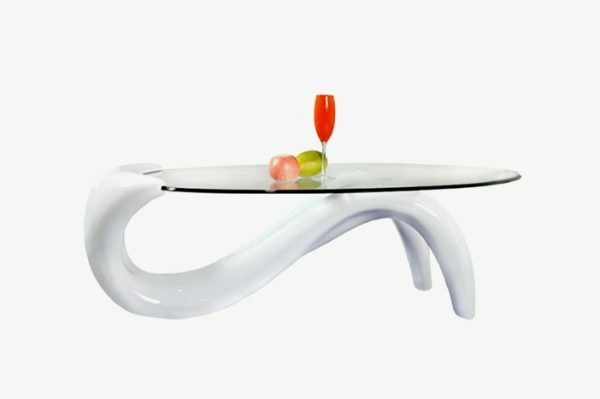 Curvy Fishtail Coffee Table: Fibreglass and glass form this unique mermaid home décor table. Enjoy a glass of wine or spritzer as you watch this mermaid’s tail flick underneath. 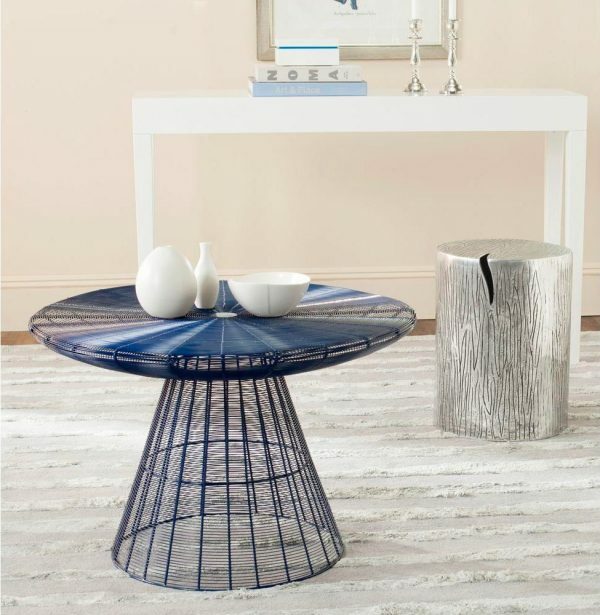 Platner Coffee Table: Designed in 1966 by Warren Platner, this steel coffee table requires 1,000 welds to build. 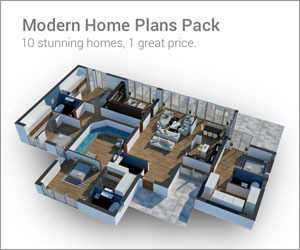 Place its glass topped-form in a contemporary apartment. 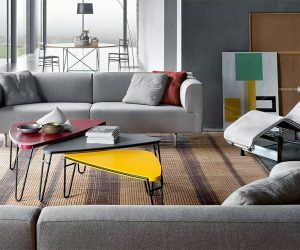 Reginald Stylish Wired Coffee Table: Looking for something a little bit different? The blue iron finish on this coffee table will have all your guests asking. Coffee Table Made From Coconut Shells: Give your lounge a hint of the tropics. 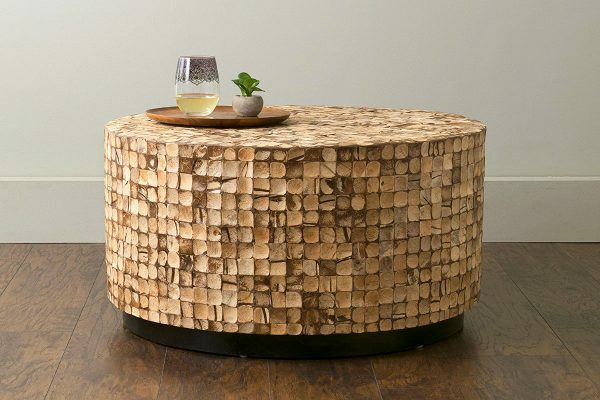 This solid, round coffee table is made entirely from coconut shells. Rectangular Teakwood Coffee Table: For those after a rectangular shape, you can’t go past this teak creation. 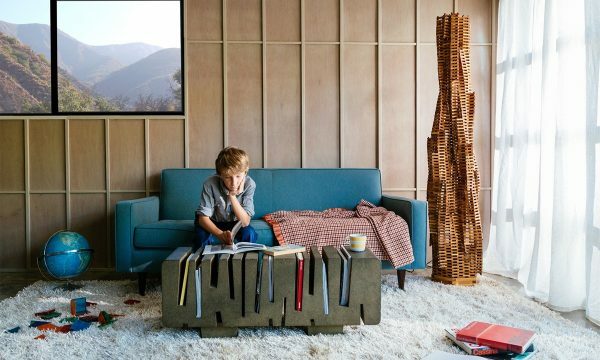 Let rough-shod wood in a block shape anchor your living room design. 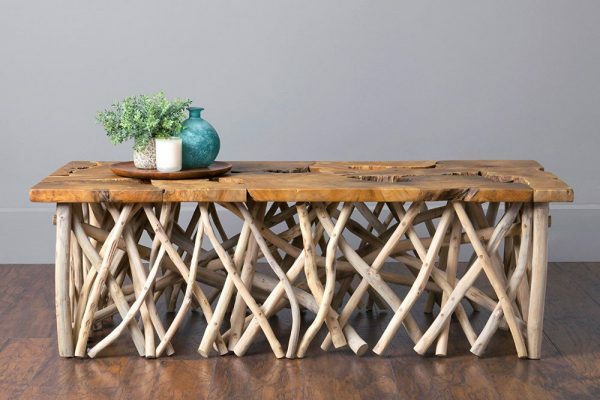 Curvy U-Shaped Wooden Coffee Table: Another table in teak, this U-shaped end table mimics a wood stack. Drum Table: Designer Milo Baughman didn’t believe in machine-made furniture, and it shows in this unique drum. Painstakingly welded, ground, polished and coated in bronze, its cylindrical design draws you and your coffee in. 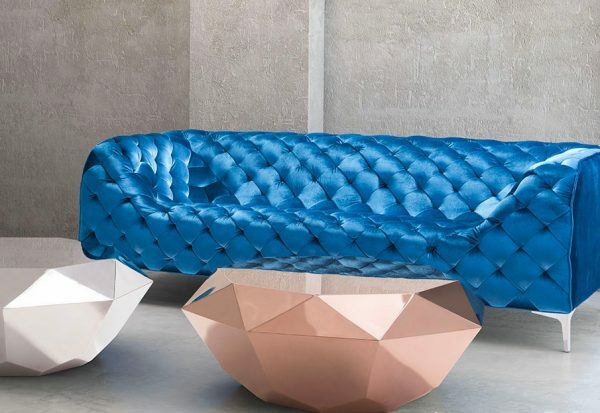 Gem Coffee Table: When we say this coffee table’s a gem, we’re really not lying. Made in China from polished stainless steel, it’s available in silver or rose gold. 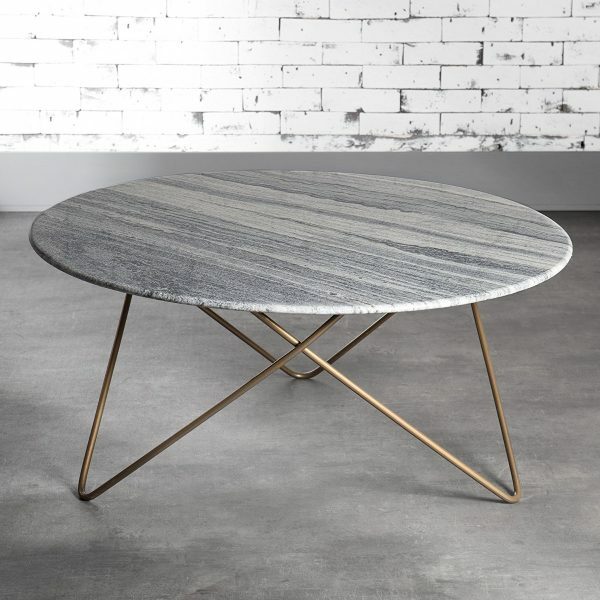 Round Marble Coffee Table With Metal Legs: Add pizzazz to your living room – without the bling. Topped with marble on gold metal legs, this coffee table says sophistication with a subtle edge. 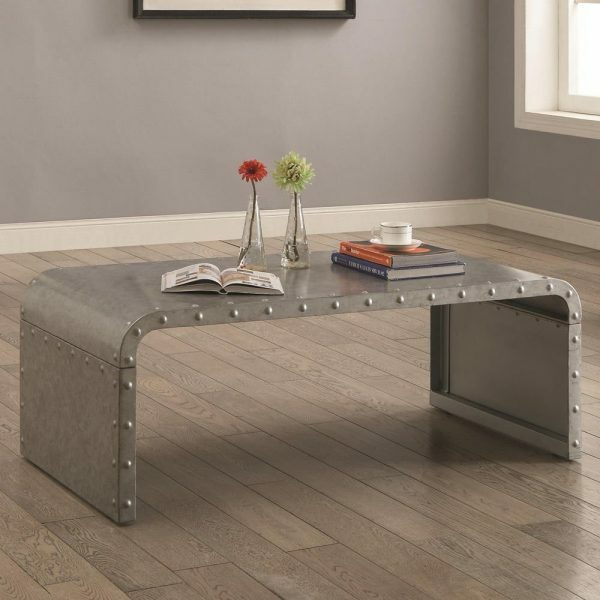 Lyon Beton Monobloc Concrete Coffee Table with Wheels: Have an industrial space you’re keen to add to? Look at this low-lying concrete coffee table to store your wares. Roller wheels beneath make it easy to move around. 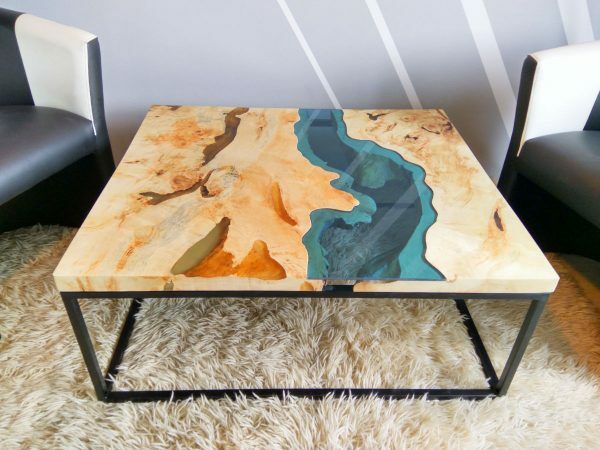 Matt Ganon Paper Table: Want your coffee table environmentally-friendly? This find cuts and fuses recycled newsprint boards to hold your coffee, magazines and books. 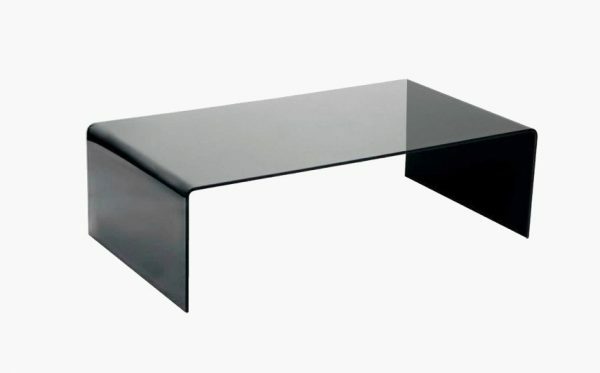 Minimalist Bent Black Glass Coffee Table: Get a coffee table that works with every room. This simple beauty bends glass to form one stylish piece. 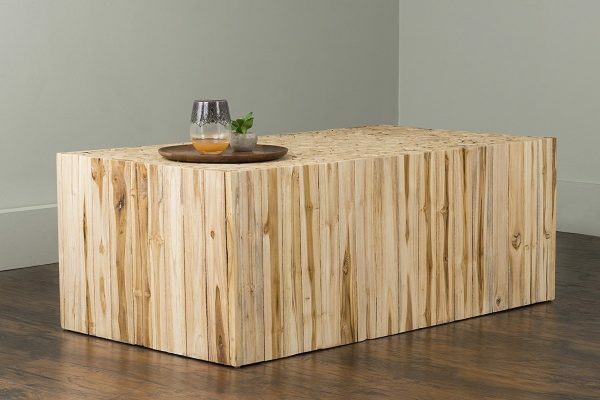 Rustic Wooden Branch and Slab Coffee Table: Pre-assembled with a one-year warranty, this rustic coffee table injects the forest into your home. 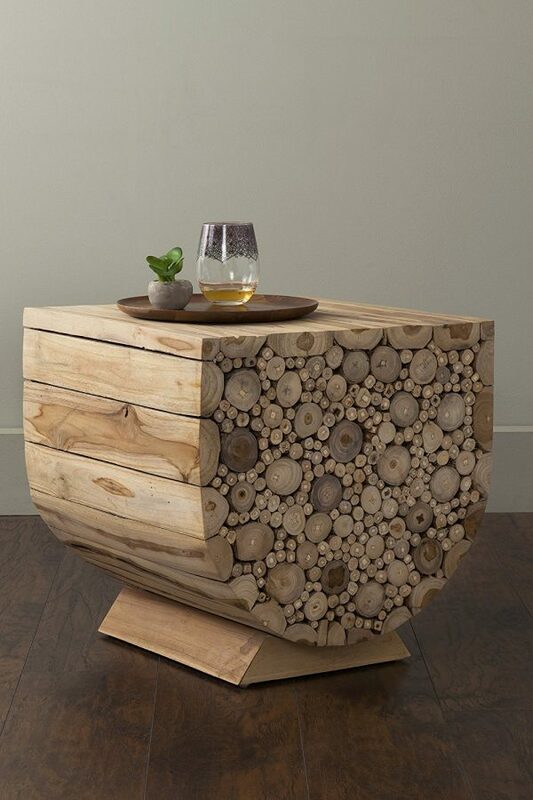 Sentient Zora Coffee Table: Combine nature and design in your lounge’s focal point. Locust wood on white laminate ensures a coffee table different from your neighbour’s. Hemispherical Wooden Coffee Table: After a unique yet timeless design? Cut a circle in half, finish it in walnut, and coat it in an easy-clean laminate. 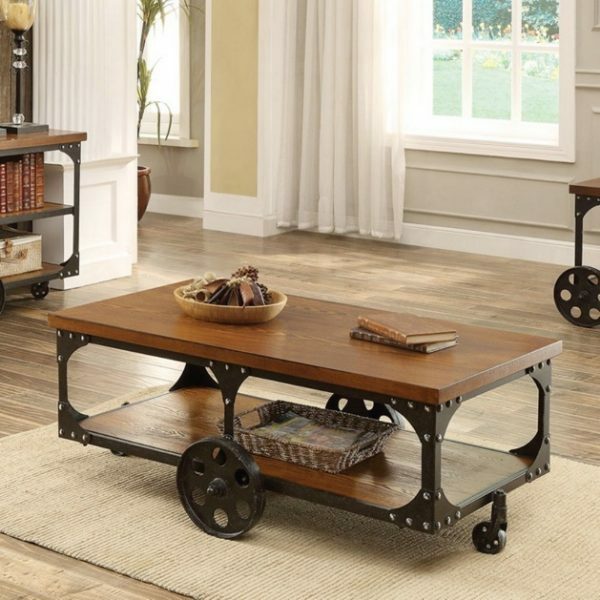 Steampunk-Style Coffee Table With Wheels: Bring an elaborate breakfast to your loved one – on wheels. This steampunk home décor find features a shelf for storage in nut and bolted-metal. 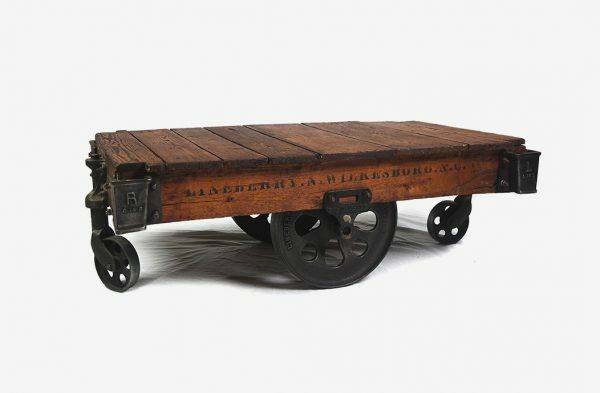 Rustic Restored Factory Cart Coffee Table: Looking for something more authentic? Straight from North Carolina, these restored Lineberry factory carts were active early 1900’s. Industrial-Style Coffee Table: Bend galvanised metal to hold your tea and coffee. This coffee table is a surprisingly sophisticated industrial home décor addition. 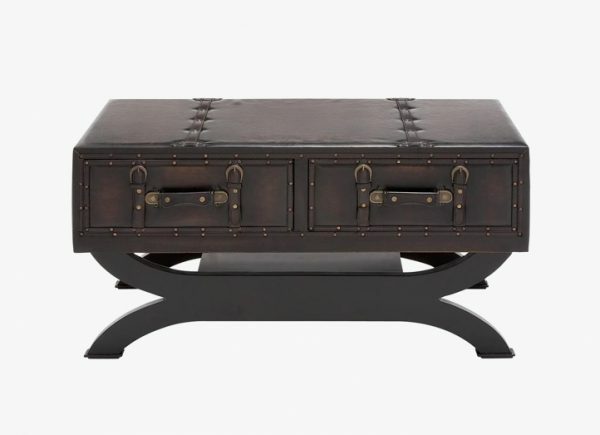 Leather Trunk Coffee Table: Need a holiday? Pretend you’re on one all year round, as you lay your books on this piece for travel-themed décor. 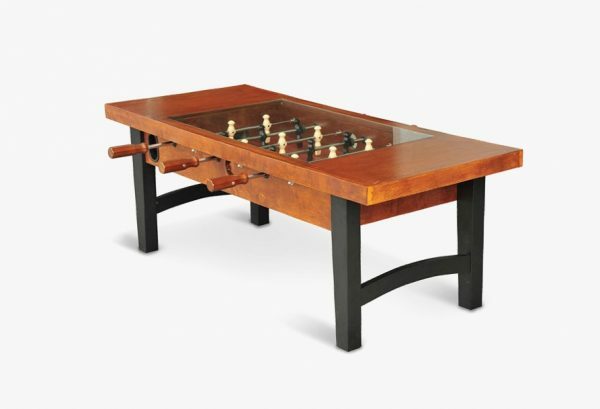 Foosball Coffee Table: Wood and tempered glass make your dreams come true, in this functional foosball table. 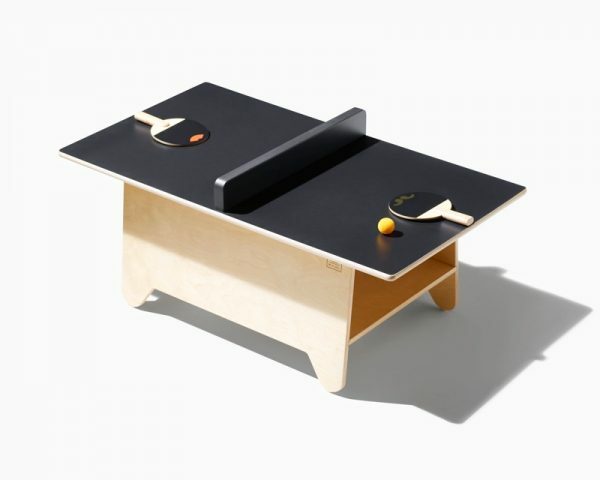 Coffee Table With Mini Table Tennis: Make one table perform three functions. Play table tennis while you’re waiting, scribble on its chalkboard and pop your coffee or novel on its top. 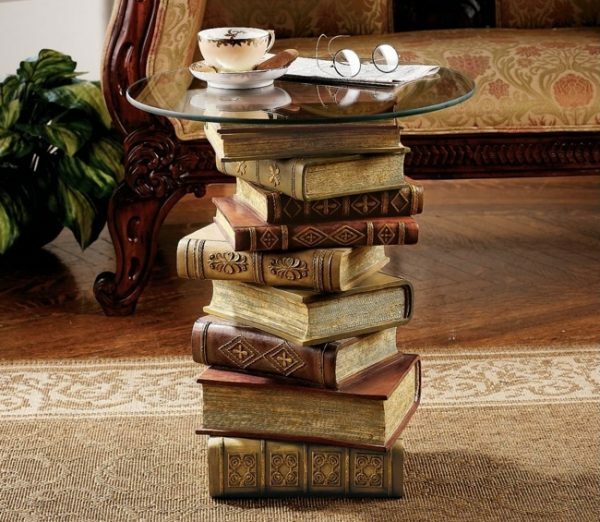 Sculptural Coffee Table With Book Stack-Shaped Base: Can’t get enough of books? Place a glass top upon a stack of them for a nifty end table. 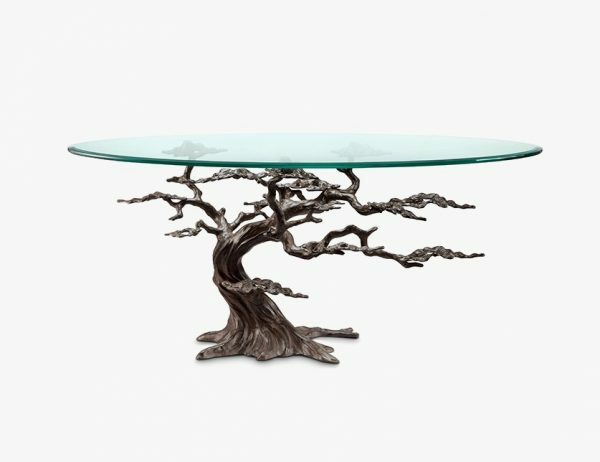 Sculptural Tree Coffee Table: Create the bonsai tree look – underneath your coffee table. This metal cypress holds your latest read on glass. 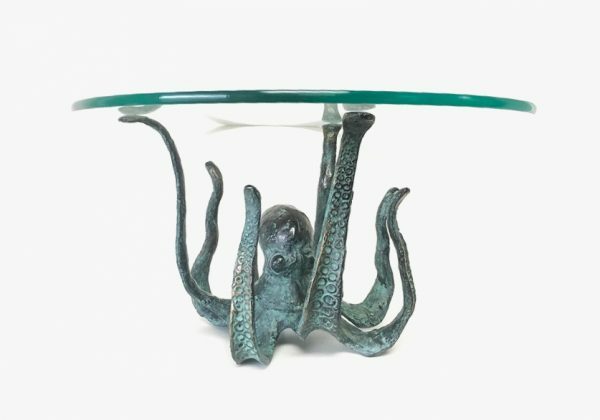 Octopus Home Decor: Love all things nautical? Place this cast iron octopus in an octopus décor lounge. 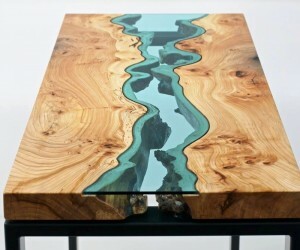 Live Edge River Table: Hikers can’t go past this coffee table mimicking a terrain. Watch its beautiful stone create realistic landscapes on your living room floor. 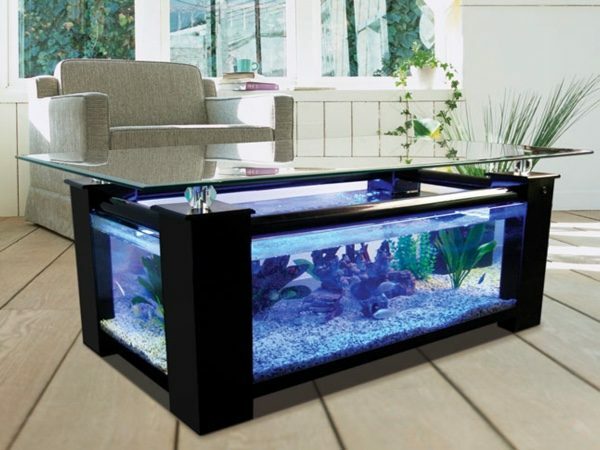 Aquarium Coffee Table: Want an aquarium, but not sure where to put it? This fish-ready coffee table lets them live in your lounge. Coffee Table With Pet Bed: Keep your pup happy with a table that lets them sit underneath. Also suitable for cats, it offers a perfectly-sized mat to cushion their behind. 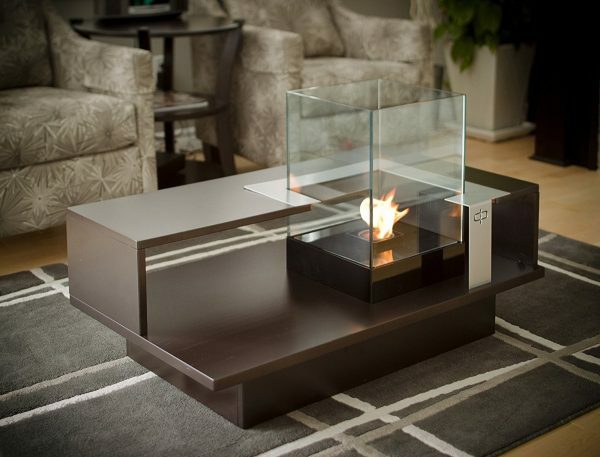 Coffee Table With Fireplace: Take your coffee table to the next level. This design features an inbuilt, heat-resistant fireplace that adds plenty of ambience. 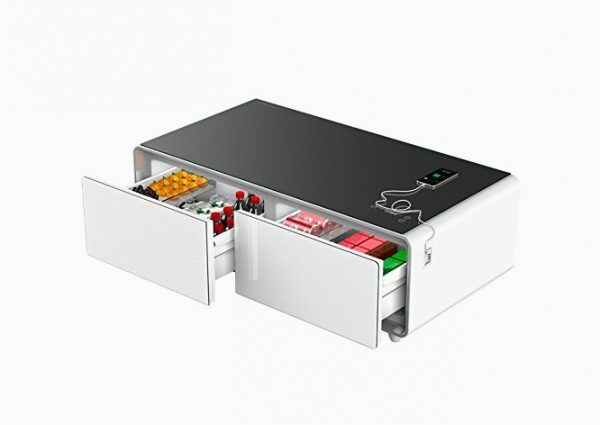 Smart Coffee Table With Fridge, Speakers & Charging Ports: For those short on space, this coffee table features Bluetooth speakers, a mini refrigerator and USB charger in one tidy little package. 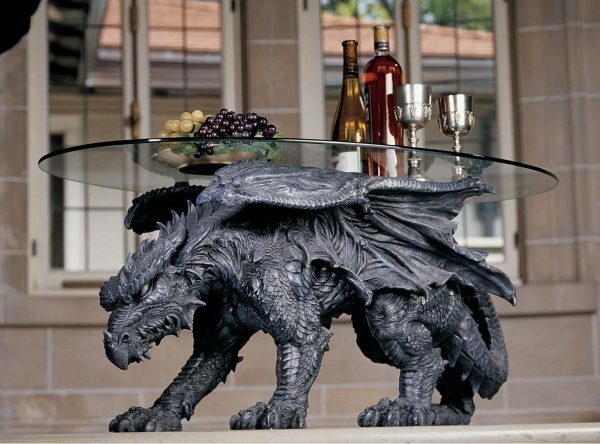 Dragon Coffee Table: Bring Game of Thrones magic to your living room. This unique dragon home décor piece looks beastly under a bottle or two of wine. Custom built by Derek Pearce, these tables cleverly adapt water dwelling animals into their surface leading to a terrific display.